Error: (CURL) UnauthorizedOperation — Your AccessKeyId is not authorized to perform this operation. Please check IAM policies for the Access Key. 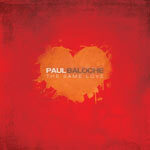 Paul Baloche needs no introduction. Even if you don’t recognize his name, you’ve sung his songs. I regularly use no less than 12 of Paul’s originals in corporate worship, which is significant given the number of new worship songs that flood the market daily – he is truly a masterfully gifted songwriter. What’s better, however, is the Jesus-centered heart of the man, which overflows in his lyrics & personally, for those who’ve been face-to-face with him.